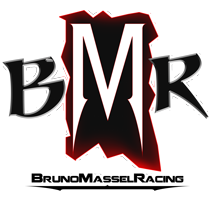 Home/News, Racing/3 races in the books, 3 victories in 2017! So with three races in the books, we now have three victories in 2017! 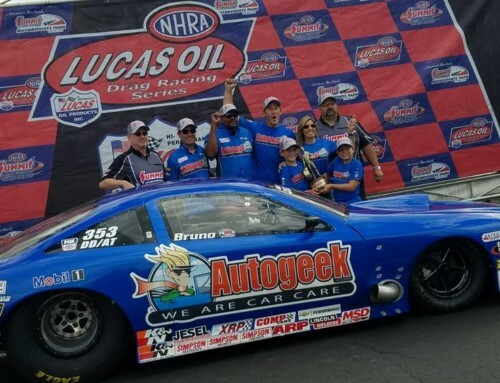 The most recent win came Memorial day weekend at the NHRA JEGS Sportsnationals in Bowling Green, KY. Behind the wheel of my Autogeek Chevy Cobalt, we Qualified #1 for the second straight event and won the Fast Four showdown held Saturday night. To add a little icing to the cake we were awarded the “Best Appearing crew” and took home the commemorative “Wally” for that distinction as well. I’ve attached a number of files above with some of the coverage we’ve received in print magazines as of late. 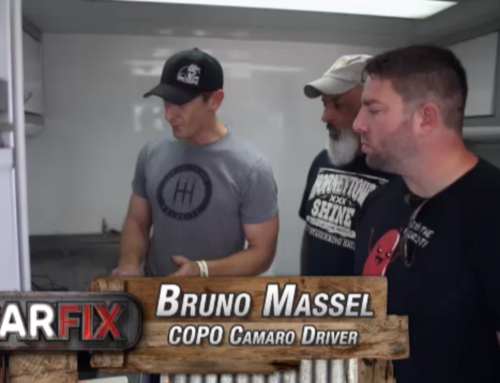 If you missed the original airing of Car Fix on Velocity channel, where they came to the track as we broke in my new COPO Camaro, you can catch it this weekend, Saturday June 10th @ 11am. 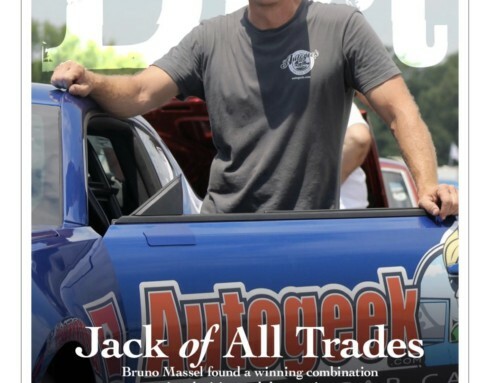 Also, a feature story in Drag Racing Edge magazine should be out the end of this month, talking about my career in the sport, I’ll pass it along when I get it. 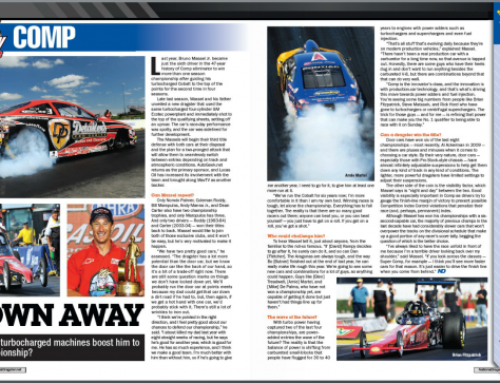 Next Stop for us will be the NHRA Summit Racing Equipment Nationals in Norwalk, OH June 22-25th. I’ll be doing double duty that weekend, competing with both the Autogeek COPO Camaro and the Autogeek Chevy Cobalt. 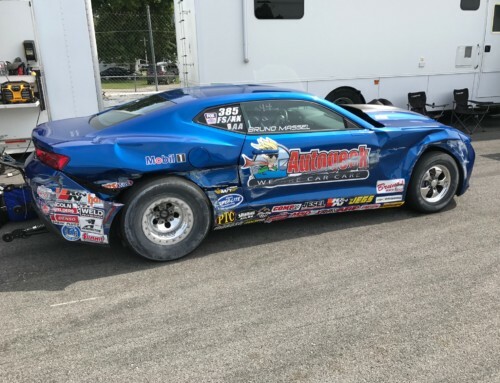 We have a new engine program that we will debut that weekend in the COPO Camaro and have made a few refinements to our turbocharged setup in the Cobalt. Hoping the hard work will continue to lead to more victories as the summer moves on. Thanks for the continued support, hopefully we see you at the track sometime soon!